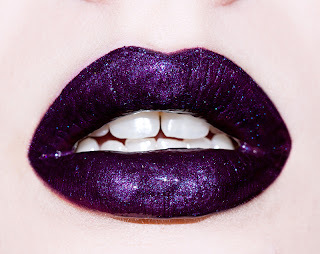 Belle Morte Beauty: Lime Crime Carousel Lipglosses - Sparkly! 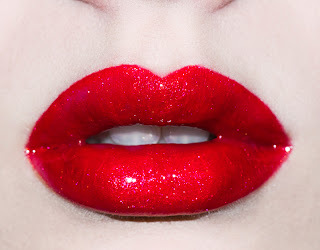 Lime Crime Carousel Lipglosses - Sparkly! 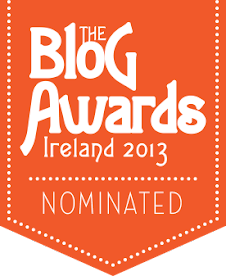 "Do you remember a time when a kaleidoscope or a treat like a candy apple could delight and inspire a sense of wonder? 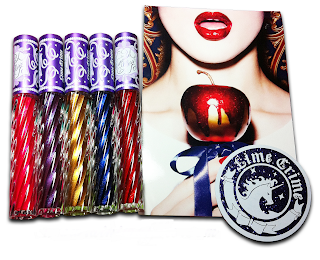 This season, Lime Crime invites you to experience Holiday magic by immersing yourself in simpler pleasures." 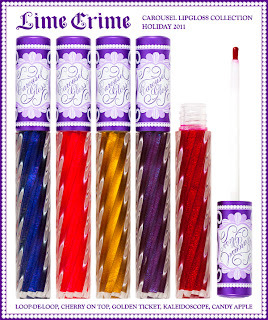 Lime Crime have released 5 gorgeous, sparkly shades of Carousel Glosses. Each shade is highly pigmented and offers opaque coverage - not something you generally get with lipglosses as they can be quite sheer when applied - not these bad boys however! 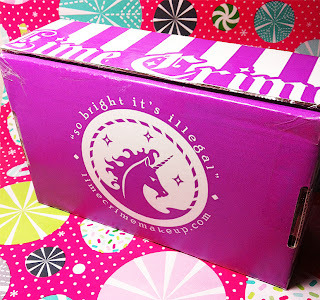 I loved the purple box mailer, too bad the shipping label was stuck onto the top but I I’ll probably keep the box for storage as it's far too pretty to just throw away! 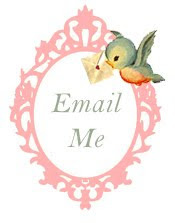 The inside was filled with 5 gorgeous little boxes one glittery Sticker and a photo of the Carousel Lip Gloss Print. 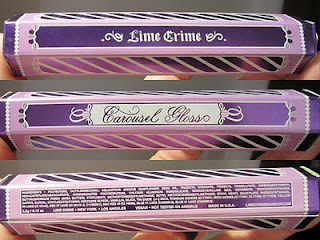 And now onto the Lime Crime Carousel Glosses themselves...! 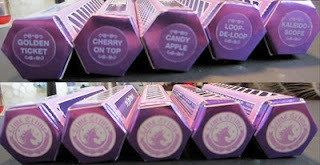 The Carousel Glosses are beautifully presented in hexagonal shape boxes. 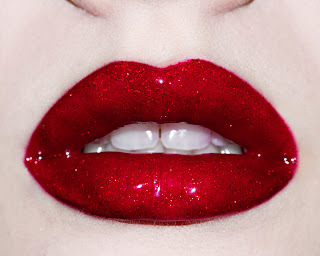 Deep ruby-red with crimson glitter. 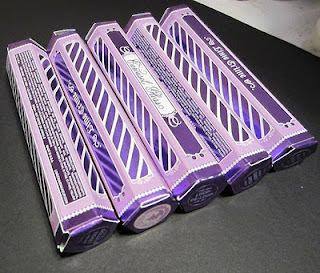 Semi-opaque coverage; swatches shown on bare lips. Warm metallic gold. 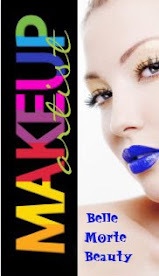 Semi-opaque coverage; swatches shown on bare lips. 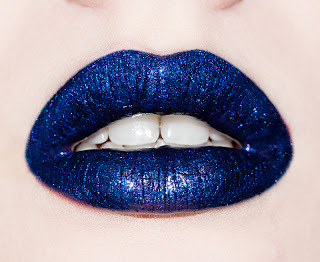 Deep sapphire-blue with iridescent sparkle. Semi-opaque coverage; swatches shown on bare lips. Maraschino-cherry pink with rainbow sparkle. 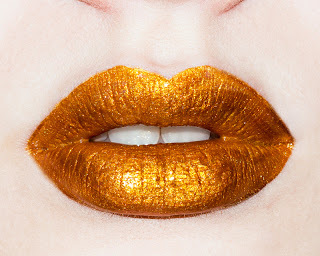 Semi-opaque coverage; swatches shown on bare lips.